Something to look forward to: Unless you decided to go off the grid yesterday, you’re likely to know about the RTX 2000-series unveiling. But while Nvidia’s GPUs are Gamescom’s biggest talking point, other companies are using the event to announce their own products. One of these is Samsung, which has just lifted the lid on two “affordable” curved gaming monitors. The new CJG5 series is available in 27-inch and 32-inch versions. Both feature WQHD (2560 x 1440) curved VA panels with contrast ratios of 3000:1 and minimal bezels. As these displays are aimed at gamers, they come with high refresh rates; 144Hz, to be exact. While some will argue otherwise, 1440p@144Hz (or higher) is generally regarded as the sweet spot for PC gaming. Both monitors come with a 1800R curvature—the same as Samsung’s CFG70—which the company claims minimizes eye fatigue by reducing the change in the user’s focal distance. Port-wise, they feature two HDMI inputs (2.0 and 1.4) and a DisplayPort. No G-Sync or FreeSync, sadly. 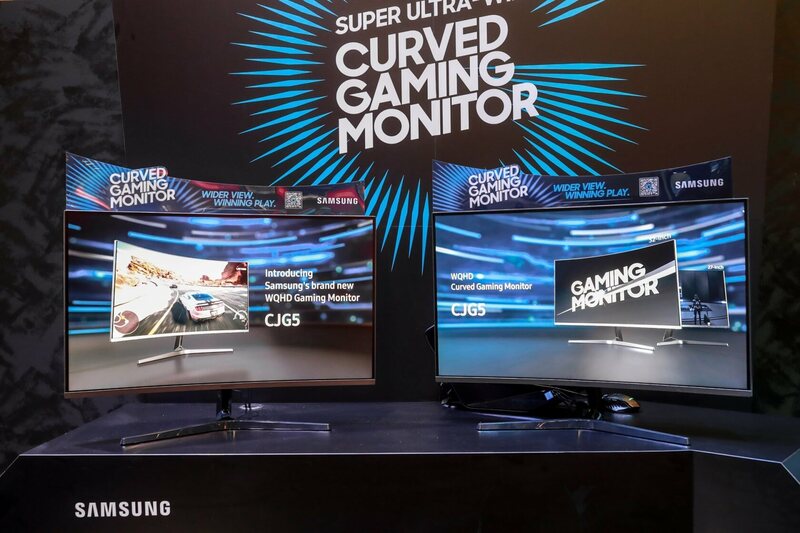 “Due to the rapidly increasing demands of gaming monitors, we sought to offer competitively-priced gaming monitors for more users to benefit from premium technology,” said Seog-gi Kim, Executive Vice President of Visual Display Business at Samsung Electronics. While Samsung calls these monitors “affordable,” it only revealed the UK prices: £309.99 for the 27-inch and £359.99 for the 32-inch version. Converting to dollars and taking into account taxes, the smaller display should cost somewhere between $300 to $350, which isn’t bad for a 27-inch monitor with this resolution and refresh rate. For more displays of all specs and price ranges, check out our Best Gaming Monitors feature.